Bangladesh Textile Mills Corporation BTMC job circular 2017 has been published. 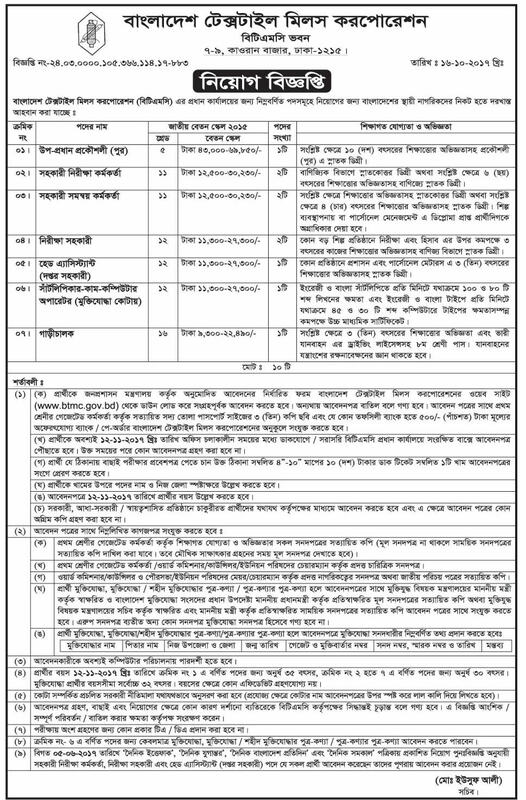 Bangladesh Textile mills job resignation are many category. It’s an huge opportunity to unemployed people Who want to do in this sector. BTMC is the most valuable part in our country. This textile mills corporation is the most popular zone in Bangladesh. With the job chances in BTMC,anyone can take this opportunity.